Rob Rowsell has a truly incredible story! Just a few short years ago, in 1999, he was living on the streets—homeless and unemployable. Addicted to crystal meth and crack cocaine, he was living the criminal lifestyle, performing fraudulent schemes, shoplifting and stealing to provide for his drug habit. He had no job, no driver’s license, no car, no place to call home, no credit, two probation officers, and over $60,000 in traffic fines, restitution, and back taxes owed to the IRS. Claudia has never done drugs, but she lived the homeless lifestyle with Rob because she was addicted to Rob. She was told by many well-meaning friends, her parents, and even Rob’s parents, to run away and don’t look back, because Rob would never change. She believed they were wrong. At the direction of one of his probation officers, Rob admitted himself into a 30-day drug rehab. By the Grace of God, he has been sober ever since that day! In four short years, while still on probation in two separate matters, he got his driver’s license back, paid all fines and restitution he owed, bought their first home, and bought their first business! 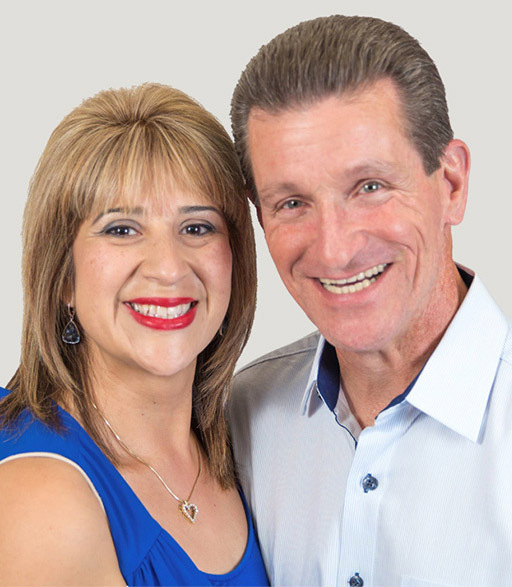 Today they are now engaged in many businesses and Rob has now dedicated his life to helping other people grow to the next level, and achieve the impossible as well. "I highly recommend Rob‘s strategies to anyone wanting to make some positive changes in life. Rob began mentoring me 15 years ago when I was working a miserable job and feeling unfulfilled in life. By following his financial, business, spiritual, relationship, stewardship, and fitness advice, I am now living a satisfying life beyond my wildest dreams! THANK YOU ROB for your guidance, dedication, patience, and motivation! By following your lead, I have been able to achieve financial freedom (which includes freedom of time), outstanding relationships, and I just recently reached my fitness goal (lost 31 lbs) which you spurred me to do six months ago. Rob's passion for 'paying it forward' is evident in his book and life coaching. These tools are head and shoulders above anything else you will find. All I have to do is follow the blue print that he has laid out in front of me and my life continues to unfold into goodness." "I am not an avid reader, but because of the admiration I have for self-made business owners, I decided to read your book. The content is amazing, along with the challenges you and your wife went through. The patience of your employer, the court system, Law Enforcement , and most of all Claudia, gives us all hope when we are down and out. To open up about the truth is hard and I appreciate you allowing us into a tough situation. I have had three employees read your book and thank you again for letting us into your story." "There are not enough words to describe the positive impact that Rob Rowsell has had on my life. Rob offered to be my AA Sponsor, which was a turning point in the transformation of my life. He was also my Spiritual adviser encouraging me to read books such as Purpose Driven Life, The Bible and other Christian authored books. I continue to live an Alcohol and Drug free life, 13 years after meeting Rob and becoming sober. Rob is now one of my best friends who has prayed for me in good and bad times, being there for me at both of my parent’s funerals, and also at my wedding. Rob is a true inspiration to me and so many lives of others. I love this guy!!" Copyright © 2019 Rob Rowsell. All Rights Reserved.